Oh, I can’t wait to show you this jumper… Ta da! It’s just what I was hoping for! 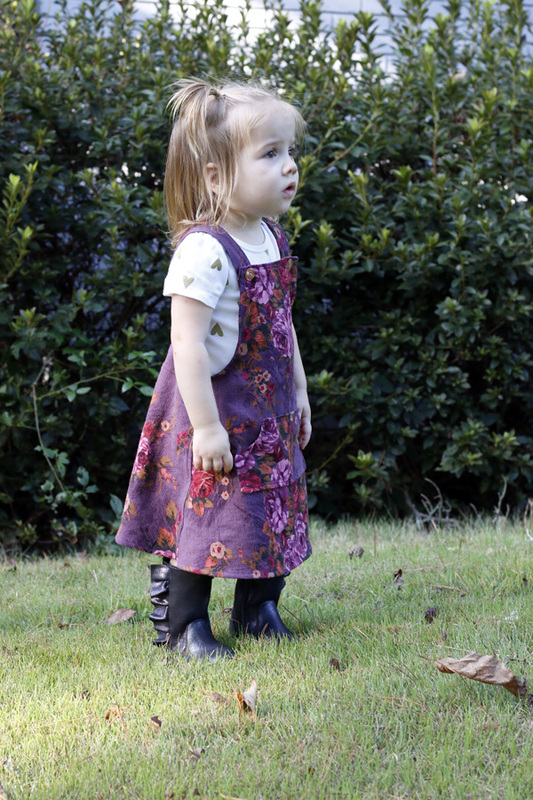 The Elizabeth Plum floral and jumper styling are nice for fall, but it’s cool enough to wear in our warm southern weather. Yay! 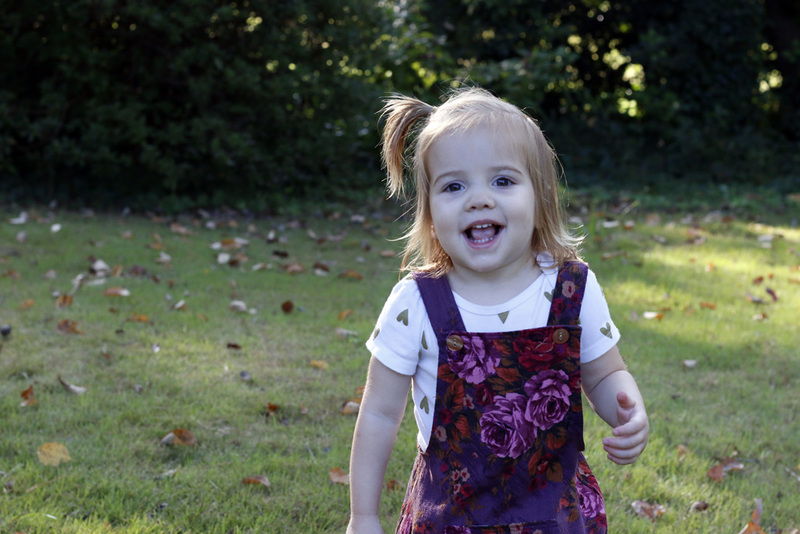 This is the Maddie Jumper pattern by Violette Threads. 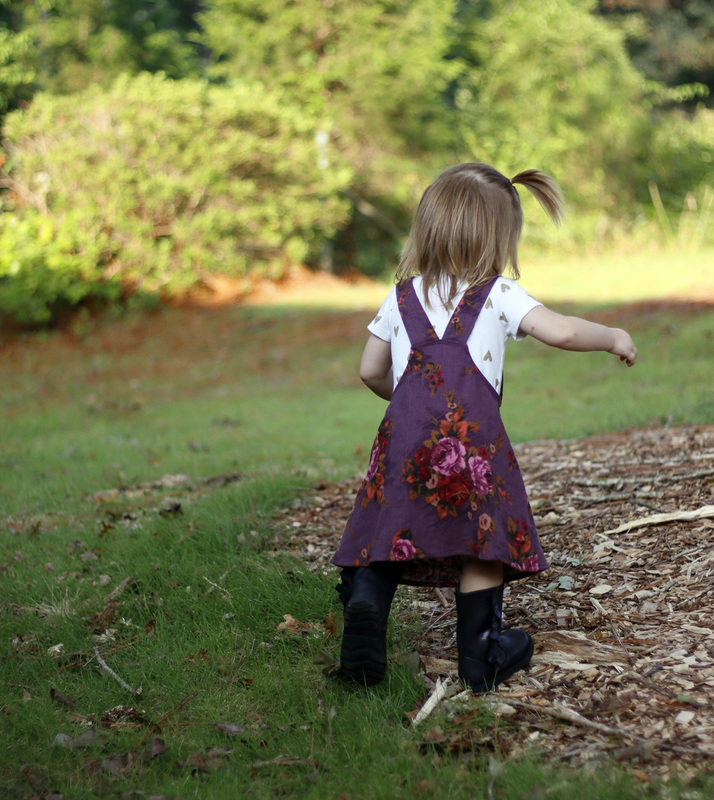 It’s an easy-to-sew classic that I’m sure to make again. I’d love to make a version with overall buckles. For this go-round I used some peachy buttons I had on hand. This is a size two, which has room to grow for my 22 month sweetie. You can see that the barkcloth Outback Wife fabric worked well for this type of garment. Somehow the barkcloth holds its shape, but still has a nicer drape than quilting cotton. I absolutely adore the jumper from behind. She’s the cutest! Don’t worry, I’ll give her a smooch for you!